Lemonsjøen ski resort is located in Vågå, between Oslo and Trondheim. 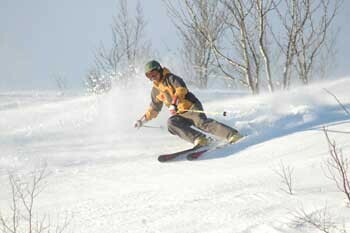 The ski lift is 1400m long, and there are 5 different runs, ranging from very easy to demanding. The drop is 390m, and the snow park features a halfpipe. In addition to the prepared slopes, you will also find fantastic areas for offpiste skiing, both above and below the timber line. The ski resort is situated near the Jotunheimen National Park, which has the highest mountains in Norway. Here you have access to a vast number of cross-country tracks, in forest terrain as well as in the mountains. Lemonsjøen also offer activities such as ice-climbing, snow-rafting and snow scooter rental.